The marble jar is full! 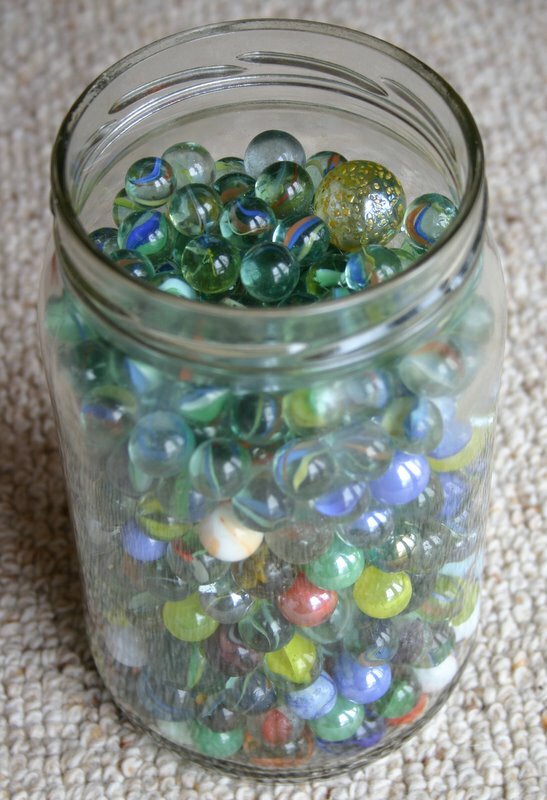 342 regular marbles and 36 tom-bowlers have been earned and the marble jar is finally full. Our marble jar has been going for about 3 months (it’s bigger than it looks!) and has helped to change the unkind tone that had been developing around here. We put it in place as a reward system for kind and unselfish behaviour. Whenever a child displayed the kind of behaviour we wanted to promote and was noticed by a parent or sibling doing so, the behaviour was rewarded with a marble in the marble jar. Particularly outstanding acts of kindness received tom-bowlers. When the marble jar was full, a whole family reward is given. Before I continue; a quick aside. There is a difference between bribes, rewards and goal incentives. A bribe is offered BEFORE a BEHAVIOUR is demonstrated and is used to “buy” the child’s cooperation and display of the behaviour you are bribing them to get. A reward is given AFTER a BEHAVIOUR is displayed and is not previously discussed – it comes as a pleasant surprise to the child after the fact. A goal incentive is offered BEFORE a SKILL is mastered (not for behaviours) and is received by the child after they have mastered the particular skill. Obviously bribing our children to get the behaviour we want from them is not a helpful parenting strategy and will not improve a child’s character. It does in fact promote a selfish attitude and teaches the child that it is only worth displaying good character when the bribe is big enough. Practically speaking, they are difficult to maintain because the bribe the child expects will generally need to get bigger and bigger to keep their cooperation. Now, back to marble jars. These operate as a reward for kind behaviour that has already been displayed. The child who is acting in a kind way is not allowed to report their own good behaviour, it must be noticed by others. Obviously to begin with, while the marbles are very fresh in their mind, there is a lot of kind behaviour that is happening only for the promised reward. Because of that, it does in some ways operate as a bribe for a couple of days. It isn’t long however before the initial interest wears off and the marbles are forgotten about. It is then that the true reward part of the system kicks in as behaviours that are naturally being shown without thought of reward are reinforced with the nice surprise of a marble. Oh, in case you were wondering, the reward was a trip to Sizzlers for dinner. It was thoroughly enjoyed and the children have now been introduced to the joys of the ‘all you can eat’ dessert bar and never ending drink refills!